Around 56% of people have more than one hobby and 24% have just one real hobby they enjoy participating in regularly. Hobbies fulfill and entertain human beings throughout their lifetime (including their senior years), but they also have important health benefits. One study published in the Annals of Behavioral Medicine revealed that those who engaged in hobbies regularly were 34% less stressed and 18% less depressed. This is good news for seniors who can be prone to depression and isolation. For them, hobbies fulfill the important function of introducing them to new social circles, which can serve as a vital source of support. If you have a loved one who is entering their senior years, encourage them to find hobbies that can help them improve important areas in their lives. If the seniors in your family have always loved crossword puzzles, Sudoku, or card games, they may enjoy Dual N Back or other brain training games. In Dual N Back, the aim is to remember sounds and positioning of sequences (similar to classic 1980s game, Simon), in order to improve the working memory. Other interesting hobbies for better brain health include learning new skills such as music or languages. Language learning has been found to promote brain growth (particularly in the hippocampus, which plays an important role in learning), make the mind more agile, and sharpen cognitive function. Yoga is an excellent way for seniors (including those who may not be physically active) to gain strength, flexibility, and coordination. This millenary practice can be adapted to all levels and there are many classes focused on specific groups (e.g. seniors, pregnant mothers, even children). Seniors who are worried about balance should consider chair yoga, to gain additional support while performing different yoga asanas (poses). In a study published in the Journal of the American Geriatrics Society, it was found that patients with osteoarthritis benefited from the pain relieving properties of yoga. They also had less fatigue and improved balance, gait, and speed. Coordination can also be improved through activities such as water aerobics, dancing, hand-eye drills, and Tai Chi. Fine motor skills, meanwhile, can be improved through sewing. Those with sight issues who aren’t into needlework can benefit by using a sewing machine that is appropriate for their skill and experience. Seniors can find that hobbies like sewing become wonderfully addictive. This hobby can also serve as a way to make beautiful gifts for friends and family. Holistic hobbies such as mindfulness meditation have been proved in many studies to reduce levels of stress hormone, cortisol. They also improve memory and sharpen and focus the mind. Apart from improving mental health in a completely natural way, they are suitable for people of all ages and fitness levels. 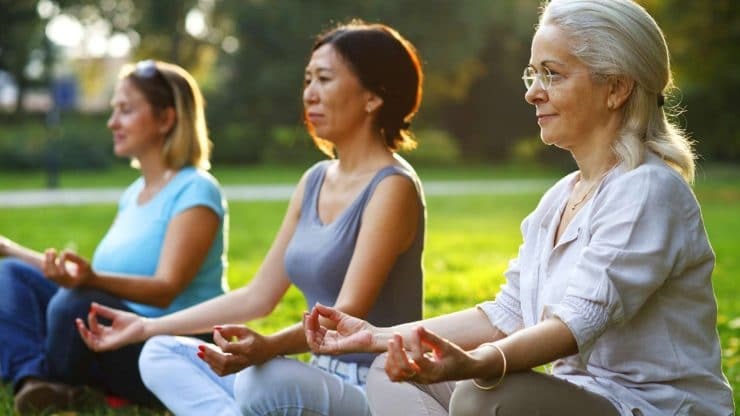 Group meditation, yoga, or Tai Chi sessions are also an excellent way to meet others with a shared interest in health and wellbeing. If one were asked which hobby was most beneficial, the answer would probably be, the one that most fulfills the person practicing it. Seniors can find that the pace of life has slowed down considerably, perhaps too much, since retirement. Yet it is precisely at this stage of life that one has more time to enjoy engaging hobbies that can benefit one’s health in many more ways than we imagine. This blog post was contributed by Jane Sandwood, whose family experience with dementia gave her an interest in helping families affected by Alzheimer’s and dementia. She contributes to several blogs and hopes to encourage seniors “to stay active and interested in the world around” them.